We were recently invited to an open rehearsal of the Engines Orchestra, a large ensemble project run by our good friend Phil Meadows. Although we aren’t able to make it on July 1st, we wanted to share information about this great project that we’ve been following since Phil won the Peter Whittingham Award back in December. 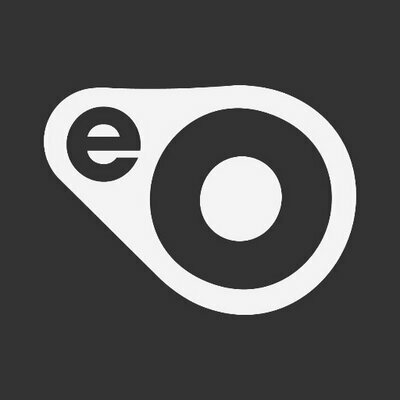 The Engines Orchestra is a new cross-genre orchestra open for collaboration supported by Help Musicians UK and Arts Council England. We work with artists on large-scale projects and provide performance platforms for chamber and smaller ensembles. As a community of musicians who have come together to challenge conventions and develop audiences for new music we allow everyone from top professionals to keen amateurs to get involved through our range of outreach (educational and peformance) but have a flexible professional orchestra as our flagship. Having received the Peter Whittingham Award in 2013, ‘Lifelines’ is our first project and combines a 20-piece orchestra with the Phil Meadows Group (featuring Laura Jurd,Elliot Galvin, Conor Chaplin and Simon Roth). This project is shaping up to be both incredibly different and very exciting. Phil’s focus on community and building something which reaches lots of musicians and audiences is something which really connects with what we try to do with Apollo. In collaboration with Strathmore Performing Arts Center, Veronneau’s Ken Avis was awarded a prestigious National Endowment for the Arts (NEA) Award to work on the Jazz Samba project, a series of events celebrating Jazz Samba’s roots and the landmark Stan Getz & Charlie Byrd recording of Jazz Samba in1962 (recorded in Washington DC) which shone a spotlight on Brazilian influenced music in jazz and pop. Full information on these events can be found on the Strathmore Performing Arts Center website. Apollo are thrilled to be bringing Veronneau to the UK in July. In addition to their gigs, we can also announce that the UK premiere of Bossa Nova: The Music Which Seduced The World will take place at HEART in Leeds on July 26th. Visit Veronneau’s website for more information on the band. Here is our Summer 2014 poster, listing the dates of our two American groups visiting the UK to tour in June and July. 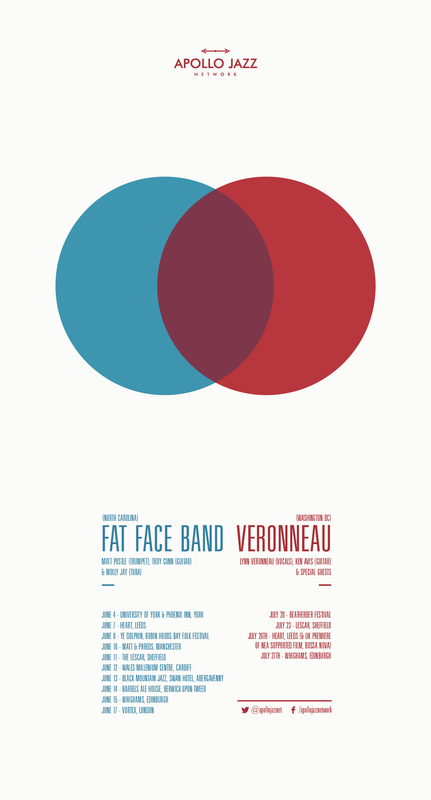 Fat Face Band kicks off their tour in 2 days time in York – don’t miss them!